Jason Triano joins Menlo Group Commercial Real Estate as the team's newest Vice President. Tempe, AZ, September 20, 2018 --(PR.com)-- Menlo Group Commercial Real Estate has announced that Jason Triano has joined the company's team of trusted advisors. At Menlo Group, Triano will represent buyers and tenants looking for professional or medical offices across the Valley. Triano brings over 15 years of experience in the banking industry. 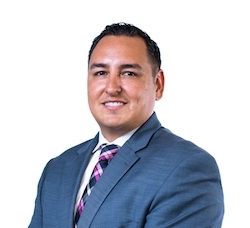 He spent 10 years as a residential loan officer before becoming a Business Development Officer at Bank of America, where he provided lending solutions for private healthcare providers across the Southwest. During his five years in the position, Triano participated in more than 150 transactions assisting his clients increase cash-flow and start, expand and relocate their practices. At Bank of America, Triano had the opportunity to interact with several Menlo Group advisors as they worked with the same clients. In those interactions, he was often impressed by the level of service the advisors provided. Menlo Group Commercial Real Estate is a full-service commercial real estate brokerage that services the industrial, retail, child care and general, medical and dental office markets in the Metropolitan Phoenix area. We exist to illuminate the path to success for our clients, advisors and employees. Learn more at www.menlocre.com.